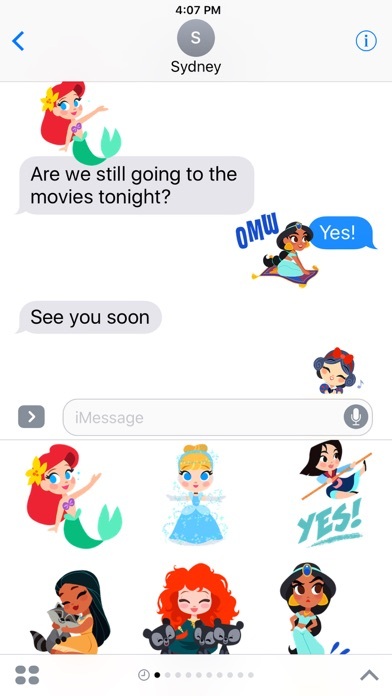 Add big dreams to your iMessages with this Princess sticker pack that includes iconic characters like Ariel, Rapunzel, and Mulan. Super cute and colorful. BUT totally not worth $1.99! I'm so mad. I purchased multiple Disney sticker sets at that price and all of them were not worth it. 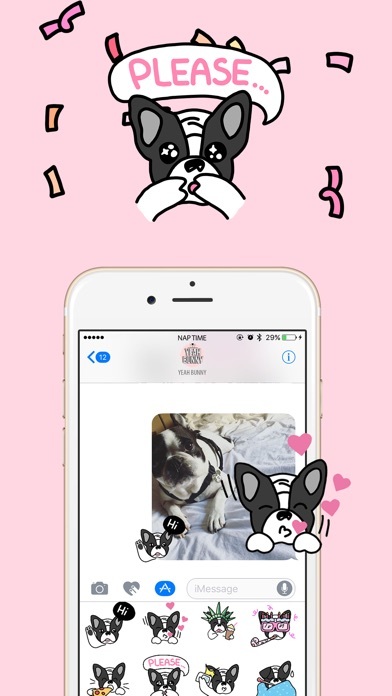 I am obsessed with using these stickers, but feel there could definitely be more. Both Rapunzel options are “negative”, as she is saying “no!” w/ a frying pan and the other she’s wrapped in her hair curled up and scared. I wish there was another option showcasing how artistic and fearless Rapunzel is. Maybe her swinging or running? Painting? Dancing? Knitting? She has so many activities!!! There’s only ONE Cinderella option , not cool, and no glass slipper, mice or pumpkin. What!! Only one Belle too and she’s in her “village” outfit, not her ballgown! I’d like to see more variety of each of these princesses. These are the best! Colorful, cute, and Disney! Everyone I send them to love them as well! If you need help installing go to google and ask. That's how I figured it out. These are great I also got the beauty and the beast and Mickey and pals! Love them all! I wish they would make Hocus Pocus ones for Halloween... who am I kidding I would use them year round! Lol these stickers are the best. I have purchased 5 other sets! 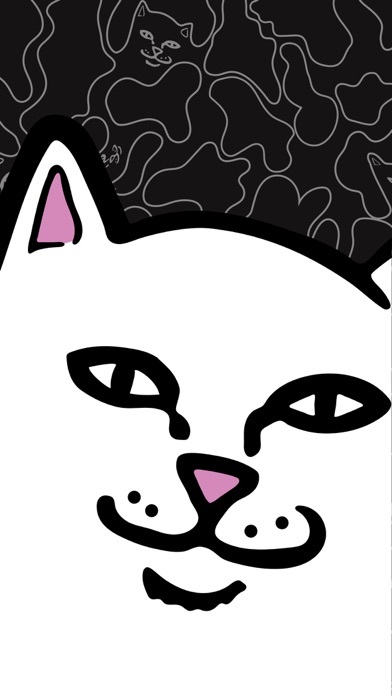 Please make Hocus Pocus stickers!! Everyone would buy them!! These stickers remind me of the Toddler Disney princesses for some reason. Wish there was more for $2 but they’re animated. So it’s fine! Love this app so much, but I feel like they get boring when it's always the same stickers. 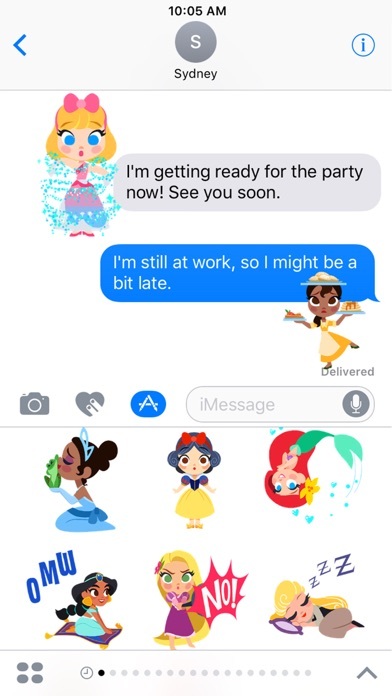 If they're were more princess stickers to each princess it would be the best app they could of created. Hi. My name is Chris and I am obsessed with stickers. I have bought every single Disney, Marvel, and Star Wars sticker set I could get my hands on... and I can't get enough! Love them all. But PLEASE! 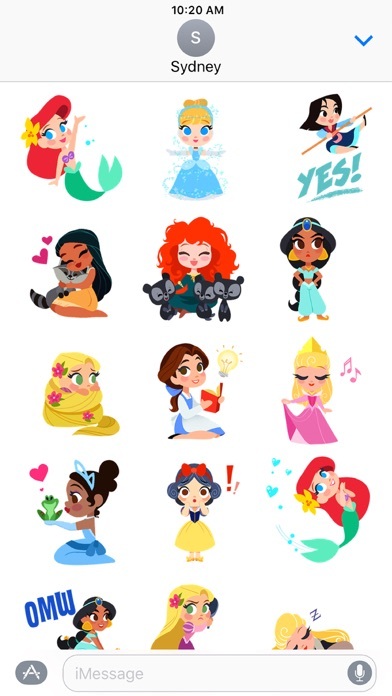 I need a full Little Mermaid and Aladdin sticker set! And more Marvel!!! Can we please have a bundle that is all of the sticker packs?? I own 7 of them but I want them all! I ended up having to google and see how to use these stickers. It was a bit confusing. 1. Open the thread of a text message 2. Without clicking anything in the message do you see the "A" at the bottom, near where you would type? The "A" looks like two paintbrushes. 3. Hit that button and BAM! There are your stickers. Good app, just wish they had more stickers available. These stickers are my literal fave thing except I just want more of them!!!! There's not enough! These stickers are the best!! They have different characters relating to problems we may face in real life but also hints at the disney characters personna- such as auro sleeping shows a relation to her movie plus anyone who is tired who needs a smile. All in all I totally recommend!!!! 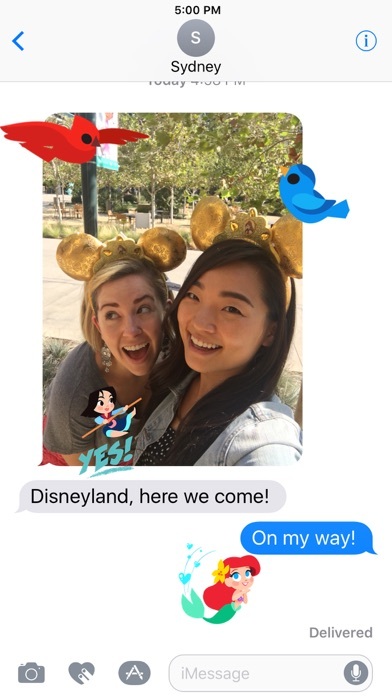 I LOVE anything disney & the stickers are perfect for texting. Princesses & texting all at once, can't get any better than this lol So much fun to use 😍 buy it you wont be disappointed! 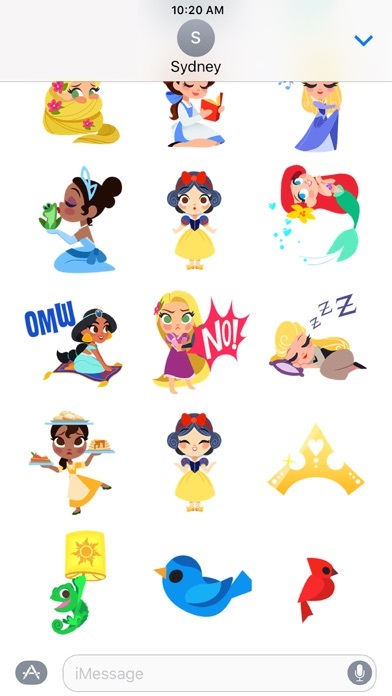 These princess stickers are so freakin' cute. I wish there were more. Can we please get a Toy Story sticker pack?!?!?!?! Super cute and there are a lot of them! These stickers are perfect for your collection. They also look fantastic when you expand them on screen. Perfectly animated and cute art style. Ignore the reviews of people not knowing how to use stickers. It will show up in your messenger apps. Also, I love these apps don't create an app on my main screen. So it keeps my sticker apps separate from normal apps.